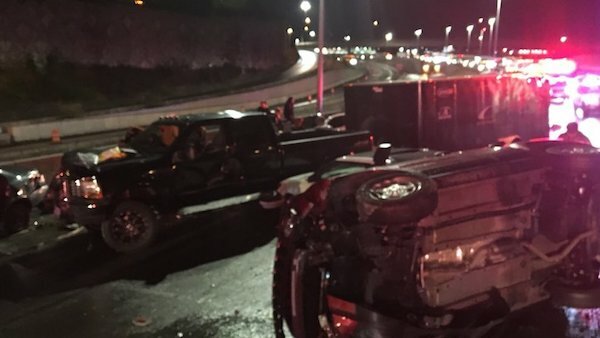 A jackknifed semi truck on Interstate 5 caused a collision that left six people with injuries Sunday night in Tacoma, according to the Washington State Patrol. The incident occurred around 11:30 p.m. near State Route 16. A semi truck driver heading south on I-5 jackknifed, hit the center barrier and caused another semi driver to hit the barrier. The semi in the northbound lanes hit at least five other vehicles, one of which rolled. Six people were injured, one seriously and in intensive care, police said. The causing semi driver left the scene, but he only drove to the nearest exit. It is not classified as a hit-and-run; Tacoma police met with the driver afterward and he cooperated with investigators. Northbound I-5 lanes opened around 5:30 a.m. Southbound lanes opened around 6 a.m. The cause of the crash remains under investigation. Police don’t believe there are any signs of impairment and no criminal charges are pending at this time. If you have been negatively affected in any way by a semi truck collision, all your losses and expenses should be accounted for in your settlement. By hiring an attorney to represent you in your claim against the trucking company, you can make sure that everything from medical bills, lost wages, pain and suffering, emotional distress, etc., is paid for. 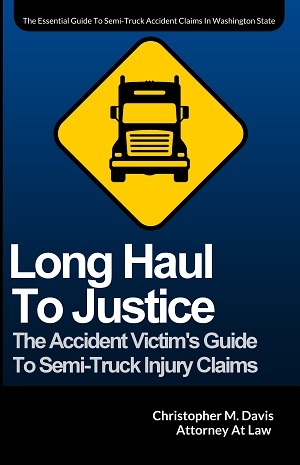 Once fault has been established for the crash and your injuries have stabilized, your attorney will submit a formal demand for compensation to the trucking company’s insurance carrier. Having a lawyer on your side is key, as the insurer will do everything to pin the blame on you. Essentially, the more you are responsible for the crash, the less the insurance company will justify paying you. Insurance companies are tricky — they’ll use anything you say against you later on. Instead of worrying about navigating the injury claims process, the attorneys at Davis Law Group let victims focus on their physical and emotional recovery. We handle the legal side of things, negotiating on your behalf for the best possible settlement. And if the insurance carrier won’t make a reasonable offer, we are prepared to take the case to trial to seek a verdict that will pay your what your case is worth. To arrange a time to meet with a Washington state truck accident lawyer during a free, no-pressure case evaluation, simply give us a call at (206) 727-4000 or submit your information through the contact form on this page.